Made from pierce resistant material. Strong webbing corner handles and stitched seams. 360 litre capacity. 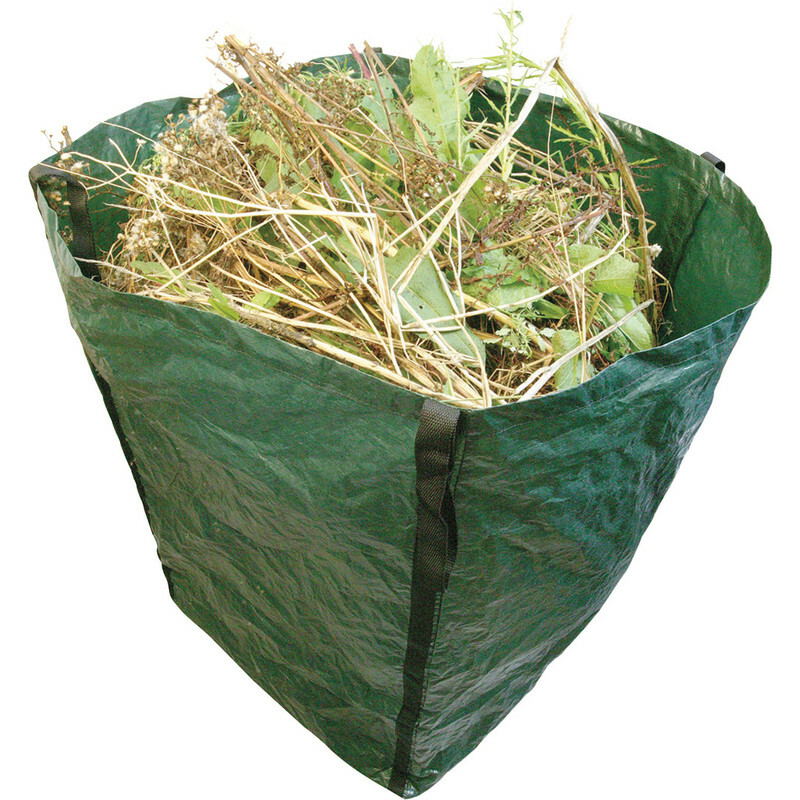 Heavy Duty Garden Sack 60 x 60 x 100cm is rated 4.7 out of 5 by 37. Rated 5 out of 5 by Andyp123 from Great buy Purchased to collect all the garden Waste.... Far easier using this bag than trying to fill bin bags and taking to the local recycling tip.. Rated 5 out of 5 by Ms Bryan from Gardeners Bags - Happy with the purchase. Good quality and Fit for purpose required. Great price also. Rated 5 out of 5 by doitmesen from Large capacity leaf collecting bags Perfectly sized bag that is easily moved when full thanks to the loops on all four corners, with the added bonus of being reusable. Should last for ages. Rated 5 out of 5 by Jan55 from Excellent value I've bought these before and they are great value.